What's even better than having a cold brew after a long day tearing up the mountain? Riding the Lib Tech Cold Brew C2 Narrow Men's Snowboard during that shred session. This directional all-terrain, freeride-focused wonder makes the best of those precious backcountry pow days. Its low-entry directional nose floats freely in the steep and deep, and Lib Tech's C2 Contour has a dialed-in hybrid profile. The placement of rocker in between the bindings and ample camber under foot and out towards the tip and tail creates a ride with powerful pop and precision. The Cold Brew C2 Narrow has a slightly narrower waist width for riders who have smaller boot size, still allowing for deep carves without toe drag. The Cold Brew excels in all conditions; it has a medium-firm flex and Magne-Traction serrated edges for a deep and steady carve no matter what you're riding. The Lib Tech Cold Brew C2 Snowboard has that low-fatigue, confidence-inducing design that backcountry riders can depend on. 2019 Libtech Cold Brew Snowboard Review by Kyle . 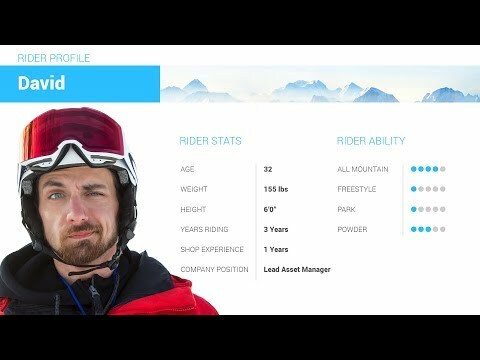 2019 Libtech Cold Brew Snowboard Review by David.